The Committee on Climate Change seems a little late to the Flood Re party. This independent body set up to advise the government has come out with a barrage of criticisms of the joint government and insurance industry initiative to ensure affordable flood insurance is available to all homeowners. It has done so on the day that Flood Re announced that former government minister Mark Hoban will be its chairman, the latest in a series of rapid steps taken towards implementation following the passing of the relevant legislation. It is rather late to be raising some of the points the CCC’s expert on adapting to global warming, Professor Lord John Krebs, has aired in a letter to Flood Re’s chief executive Brendan McCafferty. Some of his concerns, such as the inclusion of properties in Council Tax Band H, have been argued over in Parliament and have become part of the terms of reference for Flood Re so it is hard to see what benefit there is in revisiting those arguments now. However, Lord Krebs does raise some interesting issues that won’t go away and which Flood Re should address. Flood Re: can it persuade insurers to embrace ‘resilience’? He talks alot about resilience, arguing that more needs to be done to make high risk homes more resilient to flooding. He is right in identifying what needs to be done but hasn’t brought together all the elements that are needed to push this to the top of Flood Re’s agenda. It isn’t, as he appears to suggest, just a matter of using the threat of higher insurance costs as a negative incentive for householders to do more to protect their homes and make them more resilient. This starts with the government. Spending on flood defences has to be maintained. 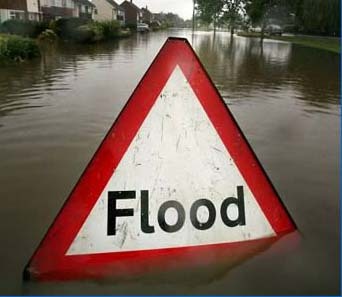 Developers and the planning authorities have to be penalised for building on flood prone land if not prohibited altogether. These are matters of government policy. The insurance industry also has a major contribution to make to improving resilience and must stop running away from its responsibilities in this area. I have argued for many years that insurers could do more to encourage flood-resilient reinstatement when dealing with flood claims. Over 20 years of spiraling flood claims they have done far too little to make the properties they insure and which have been flooded significantly more resilient to the next flood, arguing that it would amount to ‘betterment’. This, they say, isn’t what the policyholder has paid for and would push up claims costs. They even worry that if they paid extra to make a property a better risk the householder might then go and insure with one of their competitors. I have always thought that a rather blinkered, short-term perspective. If all insurers agreed to a package of reasonable – not extravagant – improvements they could make to properties that are flooded that would directly contribute to lower claims costs and a shorter reinstatement periods the next time a flood hits then it would be an investment in reducing future costs. It isn’t too hard to imagine many householders seeing their insurers investing directly in better protection of their properties actually being more prepared to contribute themselves to additional measures. That would certainly go some way to ticking Lord Krebs’ boxes. Perhaps this is something Flood Re in its privileged position as a pan-industry scheme and without the competitive concerns of individual insurers to cramp its response could promote. It would be a constructive response to the CCC’s concerns. As usual three points appear to rule the discussion on Flood Re, the issues of resilience and defence and insurers response. It seems such a shame that the restoration industry have been excluded form the discussion. Of course usually seen as the idiot bucket and mop brigade the industry low standing means the very people who could reduce time and cost are ignored. Even going back to the Pitt report he mentioned the industry doesn’t appear to know what its doing and unfortunately depending on what insurer or contractor is used, two side by side similar properties could differ in time by 12 months and treble the cost of repair.